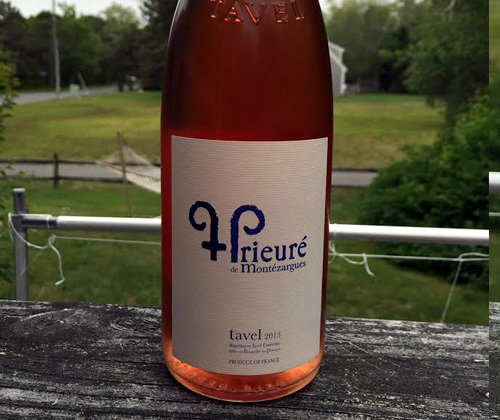 While discussing the wonders of Tavel, one of my peers put it as "the only rosé you really need," and he was 100% correct. It's the only rosé in the world that actually improves with age so a short shelf-life isn't a concern, and I have yet to come across one that wasn't lovely. So what is Tavel? It's a region in France's Rhone Valley, right across the river from Châteauneuf-du-Pape. It's been around as a winemaking region for a very long time and the wine it makes are rosé. Well, maybe not officially because rosé must come from all red grapes, while Tavel can use white in their blend. But that's a technicality. The majority of people on the planet would consider it rosé. You may remember that Domaine de Chantepierre Tavel 2014 was my Monthly Wine Pick of May this year. The one I'm reviewing today is Prieuré de Montézargues Tavel 2013. Prieuré de Montézargues used to be an abby run by those busy monks in the 12th century. The family that owns it now are also the proprietors of one of my favorite wines of all time: Chateau La Nerthe. The package is nice, the blue lettering pops against the pink, but it looks like it says Hrieuré insted of Prieuré . The color of the wine is lighter than the Chantepierre. The nose is really elegant and soft. The loudest aroma is daisies, and there's light touches of peach and raspberry sorbet. On the palate it's far from elegant and soft... it's big, bold, round and profound! The body is thick and heavy. There's flavors of lemon-lime, pear, peach, and it's even flowery here too. It finishes with juicy, wet watermelon and lemon. This wine is pretty delicious and I could drink a ton of it without any complaints whatsoever. However... the price. If you bought this then you'd enjoy it and wouldn't feel like you wasted your money, but you can do better with your $20 if you're looking for a rosé. So I've got to give it a 3/5 for Satisfying. 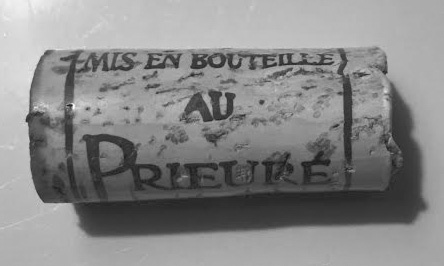 The bottle used was supplied free of charge by Classic Wine Imports. This is an unpaid review. To have your wine reviewed follow this link.